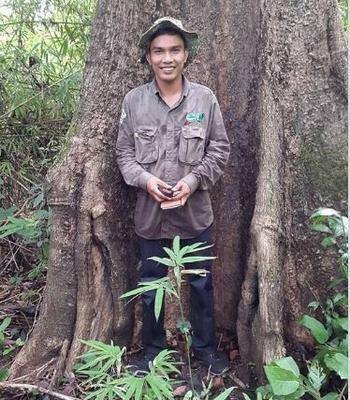 PHNOM PENH, Cambodia, February 1, 2018 (ENS) – Three Cambodian forest protectors connected with the New York-based Wildlife Conservation Society were killed by military officers Tuesday in a wildlife sanctuary while patrolling the forest near the Cambodia-Vietnam border. WCS, a nonprofit organization based at the Bronx Zoo, manages five wildlife parks in New York City and operates a Global Conservation Program in 60 countries, including Cambodia. Ken Serey Rotha, country program director of WCS Cambodia, said, “At WCS, we extend our heartfelt condolences to the families and relatives of our three conservation heroes: Teurn Soknai, Ministry of Environment Ranger; Sek Wathana, Military Police Officer; and Thul Khna, WCS SMART Officer, killed on January 30th in the Keo Seima Wildlife Sanctuary. “Soknai, 37, Wathana, 34, and Khna, 24, were killed when returning from the O’huoc border area after locating an illegal logging camp and confiscating chainsaws and motorbikes used for transporting wood,” said Rotha. Sopheak and other officials said a special committee has been established to investigate Tuesday’s killings in the Keo Siema Wildlife Sanctuary, KSWS. “As part of that role he developed the Jahoo Gibbon Camp near Andong Kralong village, at which tourists stay and bring extra income to this indigenous community. Jahoo is the Bunong word for female gibbon, a species that Soknai was passionate and knowledgeable about, frequently enthralling visitors with Bunong stories about the animal,” said WCS. 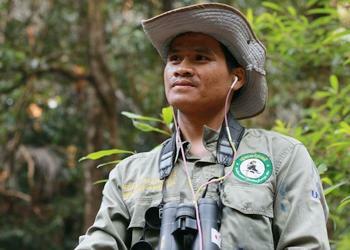 Soknai joined the Cambodian Ministry of Environment to become a ranger in mid-2017 because he saw what was happening to the forest that he loved and wanted to protect it. Soknai was well-regarded in his village, and respected by colleagues and visitors because his passion for nature was clear for all to see. He is survived by a wife and two daughters of one and four years. “Wathana, survived by his wife and daughters of two and five years, was born in Phnom Penh. After graduating from university he took a job at the Military Police as an officer. In 2016, he was moved to Keo Seima, and since 2017 he worked as a WCS counterpart and patrol team member. There he worked on the inter-agency patrol team with MoE rangers and the community patrol team, to protect the forest of KSWS. He was a hard-working and respected team member and will be missed by those who worked with him and knew him well,” WCS said. “Khna grew up in Pen Meas, a rural village of rice farmers in Somroung Commune, Tramkork District, Takeo Province. He was the first member of his family to go to university, and graduated from the Royal University of Agriculture a bachelor’s degree in Forestry Science in 2016. He then went to Israel on a scholarship for 10 months to study GIS mapping,” said WCS. “Khna joined WCS in 2017, as part of the GIS and SMART (Spatial Monitoring And Reporting Tool) team at WCS. He loved being part of this dynamic, young team exploring new ways of using spatial data for conservation. Part of his work involved improving the quality of monitoring data gathered by field teams, which he accompanied to the forest. Despite only being with WCS for less than a year, he was a popular member of the team and will never be forgotten. He is survived by his wife and one daughter of two and a half months,” WCS said. 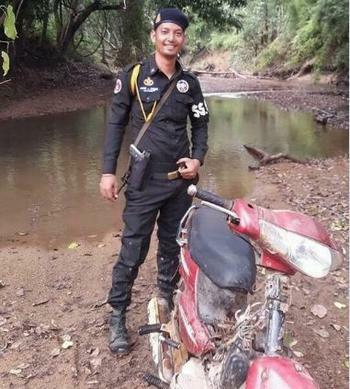 A copy of a report sent by Mondulkiri police chief Ouk Samnang to National Police Chief Neth Savouen that has been seen by The Associated Press identified three border security officials who it said had shot and killed the conservation team. The report identified Phal Penh, a border police officer, and Keut Vehar and Ngur, border military officers, as the shooters. Cambodian security forces are known to collaborate with illegal loggers who smuggle the wood to neighboring Vietnam. Keo Seima Wildlife Sanctuary is inhabited by more than 60 species of animals and plants on the IUCN’s Red List of Threatened Species. 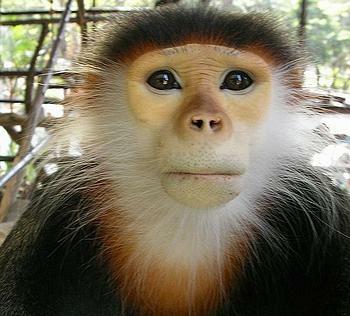 The area is of international importance for the conservation of primates, including the world’s largest known populations of black-shanked douc and southern yellow-cheeked crested gibbons, wild cats, Asian elephants, wild cattle and many species of birds. WCS, in collaboration with Ministry of Environment and local communities, has been working to protect KSWS and its biodiversity for nearly 20 years. Conservation activities include law enforcement, raising awareness of local communities and authorities to the value of the sanctuary, plant and animals research, indigenous communal land titling, local livelihood initiatives and ecotourism projects. Over 500 snares and 80 chainsaws confiscated in 2017 by community patrol teams, led by Ministry of Environment officials with members of local communities, show the commitment of local people to crack down on illegal activity that degrades their legally owned land, kills Seima’s rare wildlife, and causes conflict within communities. 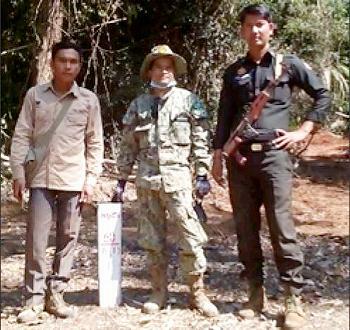 The community patrol teams, with support from WCS, patrol in the sanctuary to prevent forest and wildlife crimes. In 2017, they patrolled 52 times, spending a total of over 150 days in the forest. As a result, they arrested seven offenders, issued 57 warning letters to those whose committed illegal activities in KSWS, and seized 86 chainsaws, 513 snares, six homemade guns, 72 machetes and axes, and 17 motorbikes.